Schicke, Fьhrs and Frцhling made three excellent albums of instrumental, highly electronic progressive rock, that were all released in the late seventies on the eminent German label, Brain. Schicke left the group after that, and Fьhrs and Frцhling released a trio of albums of similar music. The Collected Works of SFF combines the original three SFF releases (on the Brain label) with two live bonus tracks. With an arsenal that included two mellotrons, two moogs, two string ensembles, acoustic and electic pianos and guitars and a variety of percussion, SFF's all instrumental music is at once symphonic and celestial, completely unique and nearly always compelling. Were comparisons to be made, I would have to say they are closer to the spacy symphonics of Novalis circa Sommerabend than to Eloy, another spacy sympho band. But that just doesn't cover it all. Some cuts, such as "Wizzard" (from Sunburst) is very fusionesque while "Artificial Energy" (from the same album) is an amalgam of Popul Vuh atmosphere with Frippish ambient guitar. Within and across albums, SFF explored different textures and styles that hybridize Berlin electronics with symphonic lushness that prohibits simple categorization and comparison. Across all albums, the songs range from about 3.5 minutes up to the 16 minute "Pictures" on their debut. 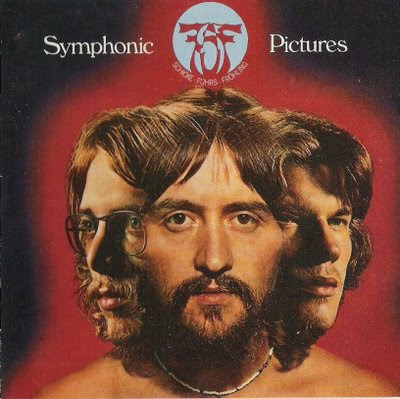 Speaking of, "Pictures" is one of the best tracks in the set, with ample time for thematic development and changes, covering haunting mellotron choruses, floor-shaking moog ostinatos, atmospheric strings synths and blazing guitar. For a very striking comparison, listen to the beginning mellotron two minutes into "Pictures" and at one minute into Anglagard's "Jordrok." Coincidence? You decide. Ticket to Everywhere shows a slight weakening of content. Some of the rhythms and drumming (e.g., "Song from India") show hints of the dance craze of the late '70s. That's not to say this is a disco album. Far from it, in fact, but still the sound is a bit more accessible. But, songs like the eight minute "Slow Motion" are trademark SFF from start to finish. The bonus live tracks are an excellent addition. "Every Land Tells a Story" is a four minute track of dancing synths and piano with acoustic guitar that was not released on any of the three LPs. The second is a ten minute medley of "Explorer/Wizzard" from the second album and it's an excellent working with a great drum solo. Percussionist Eduard Schicke is a fine drummer who has a touch of fusionesque drumming in his playing. He balances between laid back with the groove and driving forward with constant licks on the snare and high-hat.